R.J. Hunter occupied a unique place among historians of early modern Ireland – a highly respected scholar, much loved by his students and fellow academics. 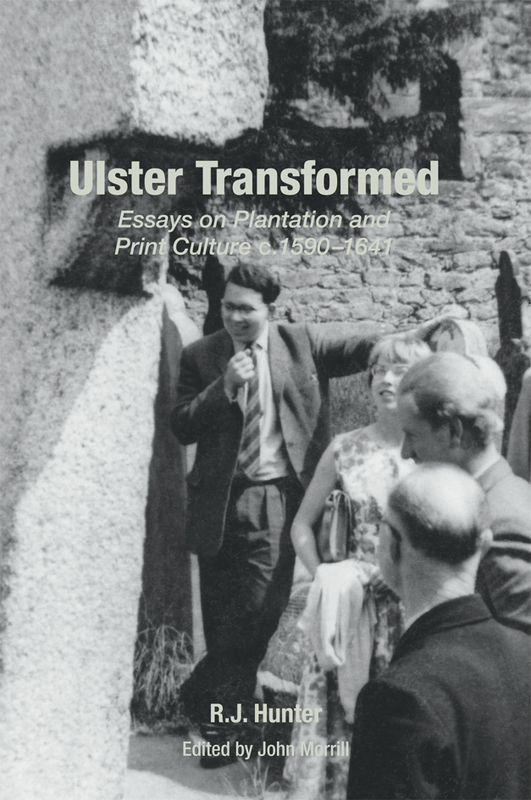 This volume brings together a selection of his finest essays: the more significant scholarly works which primarily reflect his interest in the Ulster Plantation and includes articles on the progress of urbanisation and the social and economic impacts of these momentous times. Other essays are case studies of the Plantation in particular areas, through the exploration of the part played by key individuals, and involve a strong sense of material culture and the physicality of cultural engagement. Included in this volume are nineteen essays of substance that Hunter produced over a 40-year period from 1964. They have been arranged thematically rather than chronologically; they cover eight counties in historic pre-partition Ulster. Included also is a cluster of articles on the print trade, focused on Dublin. 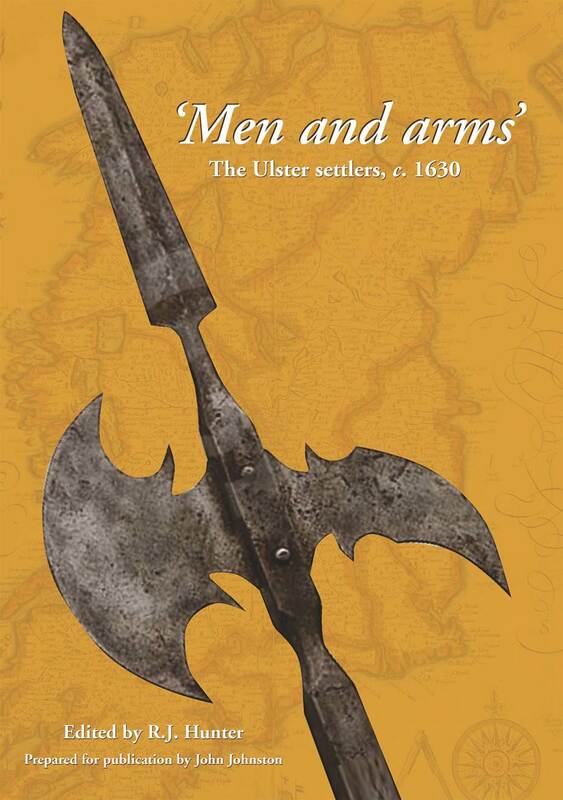 British planters in early seventeenth-century Ulster were supposed to hold stocks of weapons so that they and their tenants could defend themselves in the event of an Irish uprising. In 1628 the government decided to find out whether the planters were meeting that obligation and what sort of weapons the British settlers in the province possessed. 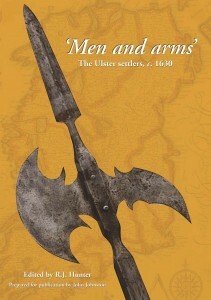 Lieutenant William Graham was appointed muster-master of Ulster in 1628 and from the spring of 1629 to the spring of 1633 he travelled around the province, inspecting the tenants on each planter’s estate and dutifully recording the name of each man and the type of weapon he presented or whether he was unarmed. The muster roll that Graham produced is the nearest we have to a census of the British population of Ulster before 1650. The muster roll reveals where the 8,000 or so families who settled in Ulster lived, highlights differences in social status and wealth among the settler population, and provides insights into the movement of settlers between the planters’ estates. The information in the muster roll bridges the gap between the reports of the Jacobean commissions and the depositions made by survivors of the 1641 uprising and allows family relationships among the settlers to be tracked across three generations. Although parts of the muster roll have been published before, there has been no publication of the entire document. Recognising the importance of the muster roll, R.J. Hunter began transcribing the document. Before his death in 2007, he had completed much of the work and had annotated the lists of names with biographical details from other sources, principally from records in the National Archives of Ireland. 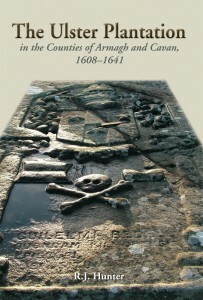 John Johnston has completed the transcription of the original document, collated Hunter’s notes, and added information from the online transcripts of the 1641 depositions to create a database of British settlers in early seventeenth-century Ulster that will be of interest for historians and genealogists alike. 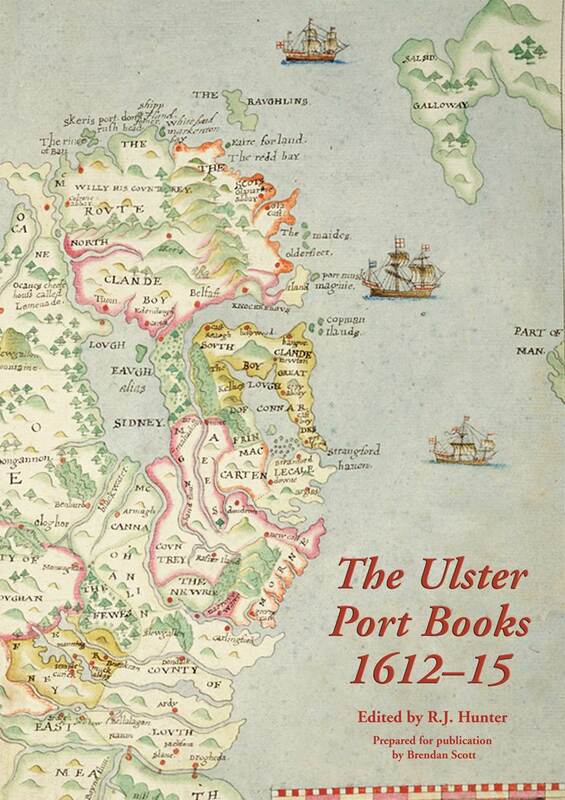 The early seventeenth-century port books for Londonderry, Coleraine, Carrickfergus and the Lecale ports are an underrated source which have been underutilised by historians of the early seventeenth century. As Robert Hunter himself highlighted, they can be used to establish the character of the merchant class of the merging plantation towns and the incipient commercialisation which was one of the characteristics of plantation. They can also be used, as names are gradually identified, to indicate the hinterlands of the Ulster ports, for example, Strabane merchants trading through Derry. The commodities exported illuminate the plantation economy; the enormous range of imports indicates that Ulster participated in the contemporary consumer society. 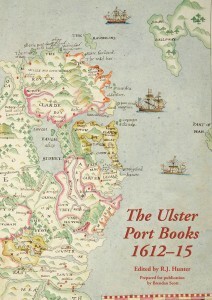 The port books also provide fairly exact information about the places of origin of the ships that traded with Ulster and indicate the size of local Ulster merchant fleets. This edition of Robert Hunter’s transcription of the port books furthers our knowledge and understanding of trade and society during this turbulent period of resettlement. 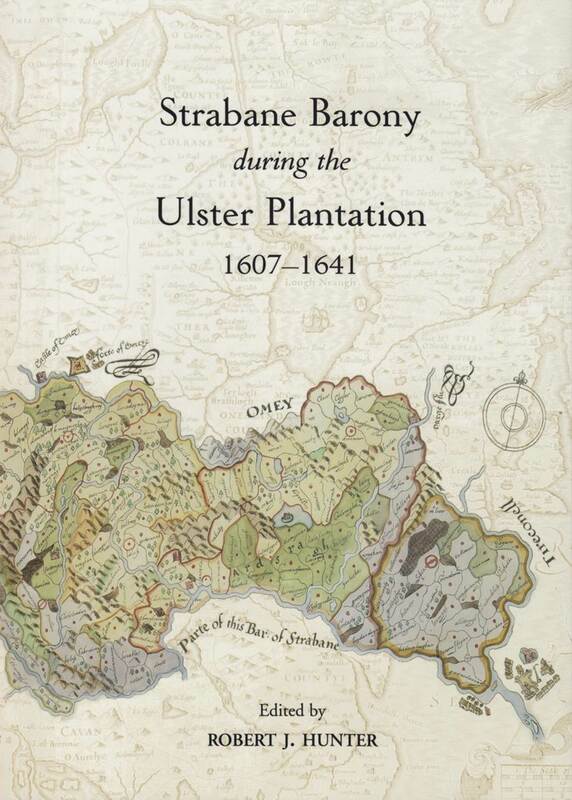 This map is a companion to the ‘The Plantation of Ulster: the story of the Scots’ and considers the involvement of the English in the Plantation. 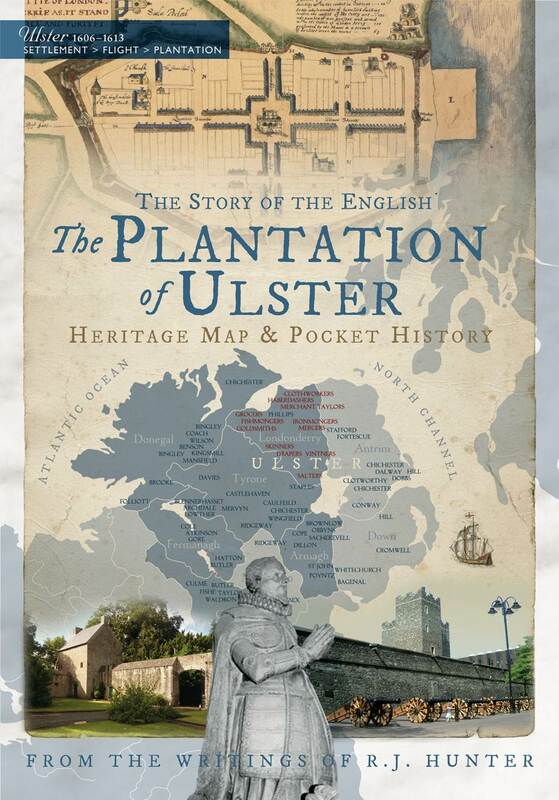 It comprises a pocket history of the English engagement in Plantation Ulster with a map of key sites and places to visit to discover at first hand the legacy of English planters in Ulster in the early 1600s. It focuses on a number of Robert’s key research interests – the English undertakers and servitors, the establishment of corporate towns, and trade and commerce, as well as other aspects of the English engagement with Ulster in the early 1600s. The Ulster Plantation of the early seventeenth century was a period of critical importance in the shaping of modern Ulster. However, there have been relatively few studies that have looked in detail at the impact of the Plantation scheme at the local level. Forty years ago a small group, under the leadership of the late Robert J. 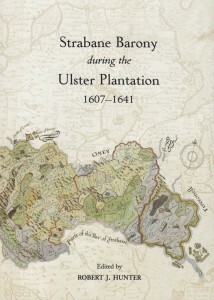 Hunter, looked firstly at the Plantation of Ulster and then sought out information for this period relating specifically to the barony of Strabane. 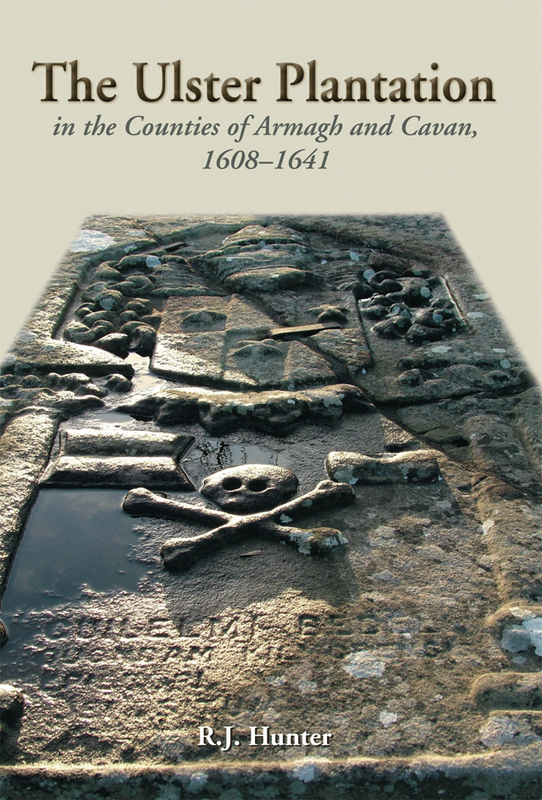 Chapters in this book look at Strabane in the pre-Plantation era, the background of the Scottish undertakers, the development of the town of Strabane, and the socio-economic conditions prevailing in the early seventeenth century. First published over 30 years ago, this fresh edition presents to a new audience the story of the Plantation in Strabane. It stands as an exemplar of the way in which a professional historian and his students can successfully work together to produce a high-quality publication. 1 Robert John (Bob) Hunter was born in rural Meath in 1938 and was educated at Wesley College and Trinity College, Dublin. After graduation in 1960, he began research on the Ulster Plantation in the counties of Armagh and Cavan, 1608–41. This interest in the Plantation, and early modern Irish history generally, was to dominate his life. In 1963 he was appointed Assistant Lecturer in History at Magee College, thus beginning an association with the city of Derry/Londonderry that was to continue for the rest of his life. The creation of what was to become the University of Ulster also saw him teaching regularly in Coleraine. 2 David Edwards is Senior Lecturer in History at University College Cork, and a Director of the Irish Manuscripts Commission. His previous publications include: Age of Atrocity: Violence and Political Conflict in Early Modern Ireland, named among The Irish Times’ Books of the Year in 2007, and The Ormond Lordship in County Kilkenny, 1515–1642: The Rise and Fall of Butler feudal power, a Book of the Year in 2003. He is currently Principal Investigator of the Irish Research Council collaborative project ‘The Colonial Landscapes of Richard Boyle, 1st Earl of Cork’. 3 John Morrill FBA HonMRIA is Professor of British and Irish History at Cambridge University and an Honorary Fellow of Trinity College Dublin. He has written prolifically on the early modern period and was one of the four principal investigators who prepared the 1641 Depositions for its web edition (1641.tcd.ie). He became a good friend and admirer of Bob Hunter while he was external examiner for an MA course at the (New) University of Ulster from 1981–9. 4 John Johnston is a native of Belfast and a graduate of Queen’s University and holds postgraduate degrees from the University of London and the Open University. He has been a secondary school teacher and a further education lecturer and now works as a civil servant. He lives in Germany. 5 Brendan Scott (Ph.D.) is the author and editor of a number of books and articles dealing with the religion, culture and society of early modern Ireland. He is also the editor of the Breifne historical journal. 6 William Roulston is Research Director of the Ulster Historical Foundation. He studied under R.J. Hunter for his BA in History at the University of Ulster. He has written and edited a number of books, including Researching Scots-Irish Ancestors (2005), Restoration Strabane, 1660-1714: economy and society in provincial Ireland (2007), and most recently Three centuries of life in a Tyrone parish: a history of Donagheady from 1600 to 1900 (2010).